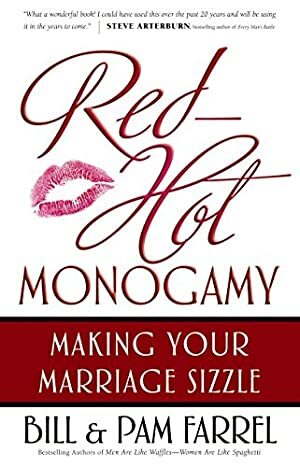 With their trademark insight, humor, and candid personal perspectives, Bill and Pam Farrel reveal the truths about the sexual relationship in marriage and what husbands and wives need to know to keep the embers burning. The Farrels present difficult-to-discuss topics and biblical truths in universal language with sensitivity, fun, and understanding. For newlyweds, golden anniversary celebrants, and all couples in between -- this book inspires the gift of romance and passion to fuel lives with love. Log In to track Bill Pam on eReaderIQ. to be notified each time the price drops on any book by Bill Pam. to stop tracking Bill Pam. Log In to track Pam Farrel on eReaderIQ. to be notified each time the price drops on any book by Pam Farrel. to stop tracking Pam Farrel. We started tracking this book on February 14, 2012. This book was $9.39 when we started tracking it. The price of this book has changed 123 times in the past 2,623 days. The current price of this book is $8.75 last checked one day ago. The lowest price to date was $0.99 last reached on February 1, 2016. The highest price to date was $11.96 last reached on March 1, 2016. This book has been $11.96 one time since we started tracking it. We last verified the price of this book about one day ago. At that time, the price was $8.75. This price is subject to change. The price displayed on the Amazon.com website at the time of purchase is the price you will pay for this book. Please confirm the price before making any purchases.